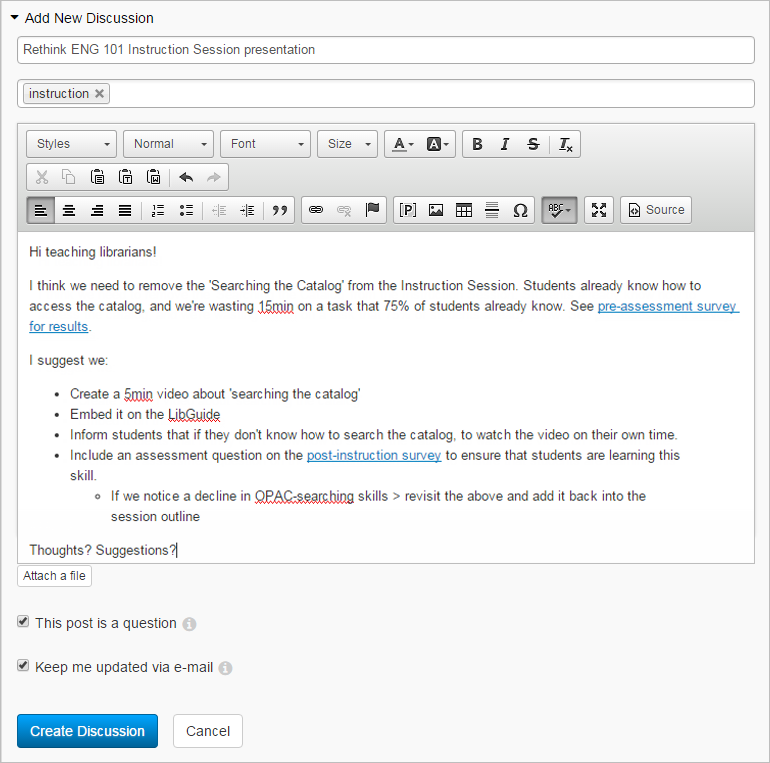 LibGuides Courseware Integration with Desire2Learn, Blackboard, Canvas, Moodle and more! In 2016, 6,359,121 students took at least one online class (Digital Learning Compass: Distance Education Enrollment Report 2017, Babson Survey Research Group). This figure represents 31.6% of all higher education enrollments and has increased 17.2% since 2012. All signs indicate that this figure will continue to grow – more and more students will be taking online courses. Does the library have a presence in your courseware tool? From SnapChat to Email… from Instagram to student portals… your students have a lot of web resources that they access. They are so inundated with text-messages, emails, announcements, snaps, instas, and posts that they’ve streamlined the websites they access to only the most important, the most relevant, to get their work done. 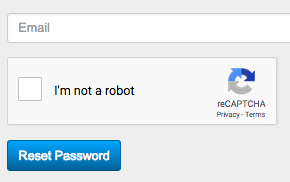 And if they’re taking an online course, their course portal page is probably at the top of a very short list. 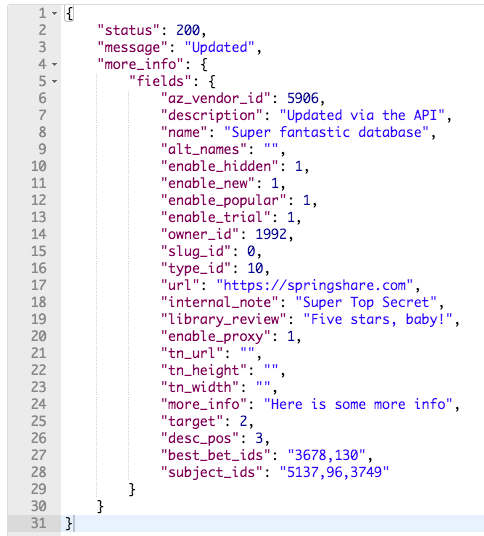 If your library doesn’t have a native presence right inside their course pages… do you think they’ll visit the library website externally to get their assignments done? If you’re lucky, then yes! …but most students seek the path of least resistance. The easiest, most ‘Google-like’ resources to get their assignment done. If you want to put the library front and center, both in their mind’s eye and in front of their literal eyeballs, then having a presence right inside their course pages is the way to go. It’s a win-win for everyone! 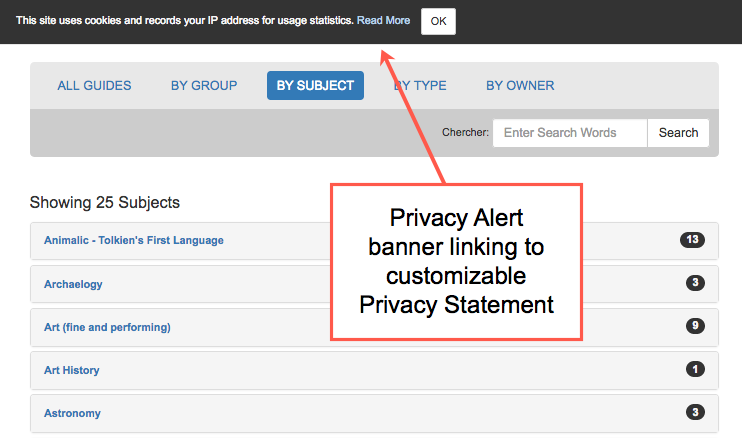 Promote course-specific resources natively inside their course pages. 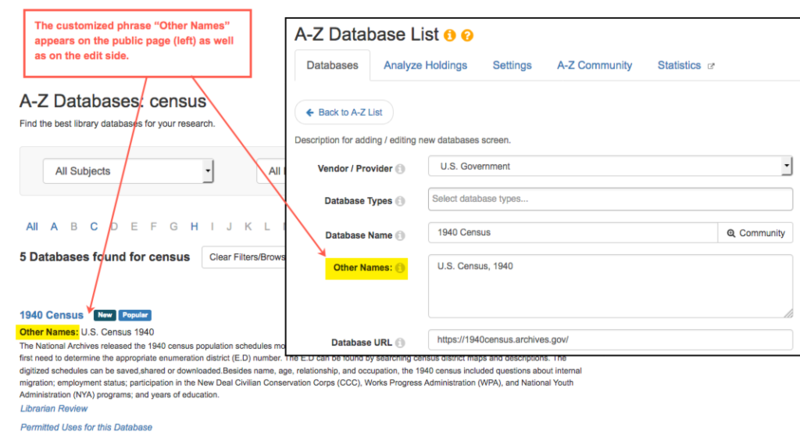 Students see easy-to-access library resources right when and where they need them the most, and you get to boost your usage stats by embedding the library right at point of need. More than just ‘online-only’ students are accessing a courseware tool, like Blackboard, Moodle, Sakai, Desire2Learn, or Canvas. More often than not, they’re accessing them as part of a hybrid class (half virtual/half face-to-face) or even as a supplemental tool in face-to-face classes for professors to share resources and receive assignment submissions. All their course-specific resources are right inside their courseware tool. From assignments, syllabi, discussion boards for online discussions, even the ability to ask their professor a question and upload their assignments. Everything they need is right there. Is your library right there, too? 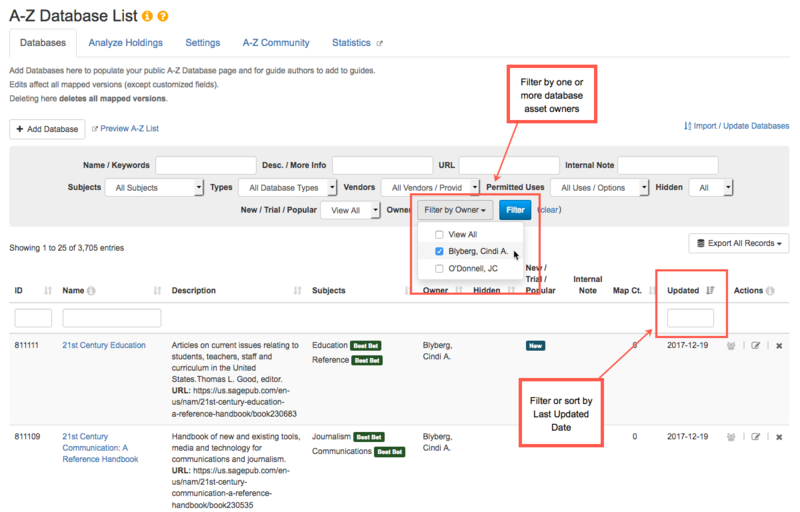 The LTI Tool Builder allows you to embed your LibGuides content natively inside courseware, so students can easily find your content right inside their Blackboard, Moodle, Desire2Learn, Canvas, or Sakai course. 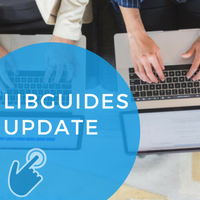 LibGuides CMS customers can embed Guides, Database Assets, and E-Reserves Courses (if they subscribe to the E-Reserves module). LibGuides customers who also subscribe to the E-Reserves module can embed E-Reserves Courses. The Manual LTI method allows you to embed Guide content, Database A-Z links, and/or E-Reserves Courses (with E-Reserves Subscription) right into a Course. 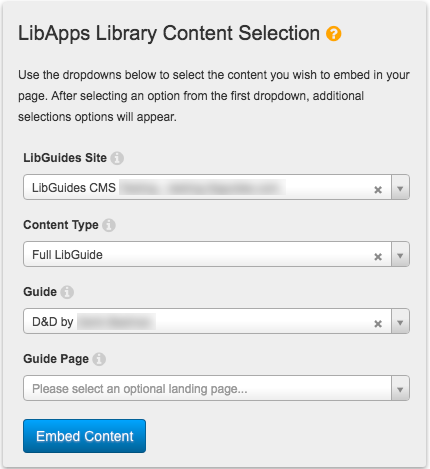 You’ll have various customization options along with the ability to embed an entire LibGuide, a page within a Guide, or even a single box (great for embedding a discovery layer search box or a LibChat widget!). The Manual LTI Method, is well, manual. 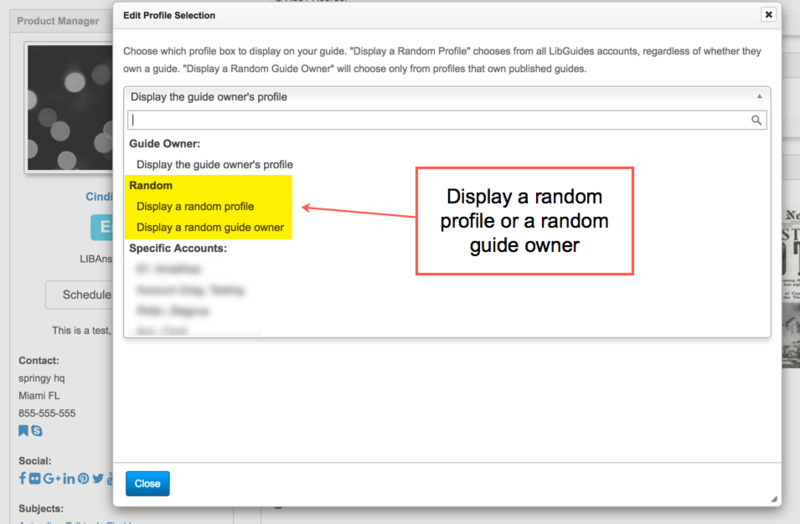 So you’ll have to navigate to each course and choose which Guide content you want to display. The Automagic method is nothing short of magical. 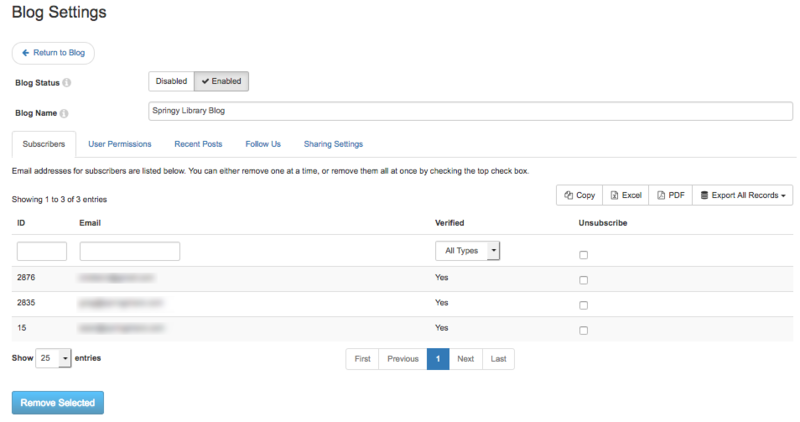 Once the Automagic tool and your courseware platform have ‘shaken hands’, your Springshare content automagically displays in each course. Exactly what displays for each course depends upon the metadata you’ve added to your LibGuides site (in order to match courses to guides, etc.) 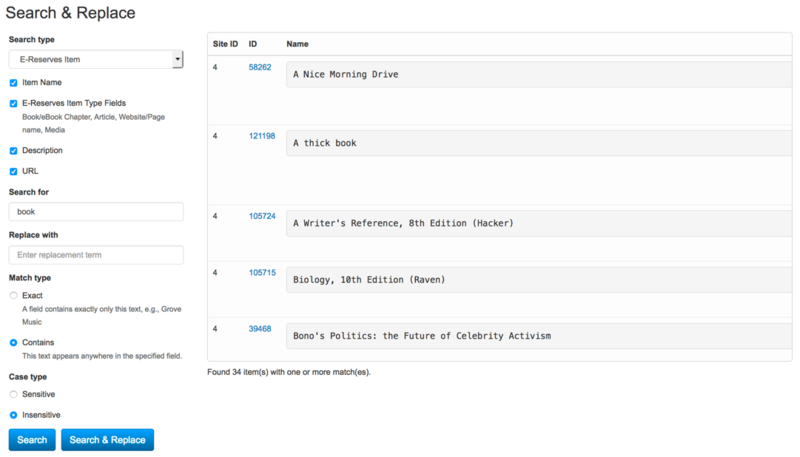 & the customization options you’ve selected in LibApps. 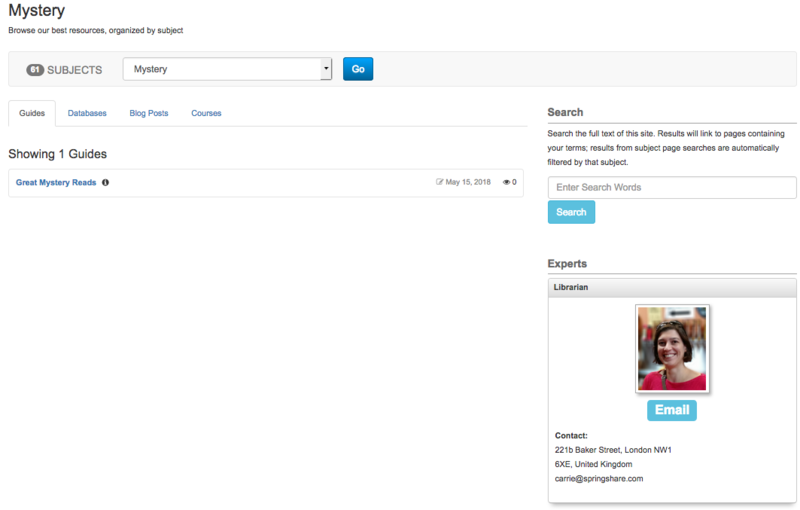 So the content that displays inside the course pages is controlled by you, right from your LibGuides CMS system. The best part of the Automagic tool is that it’s scalable. 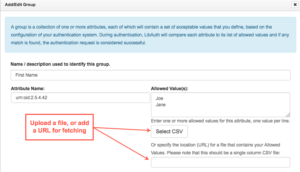 Work with your courseware administrators to embed it right into the course shell(s) and then control what displays for each individual course right from your LibGuides CMS system via metadata. 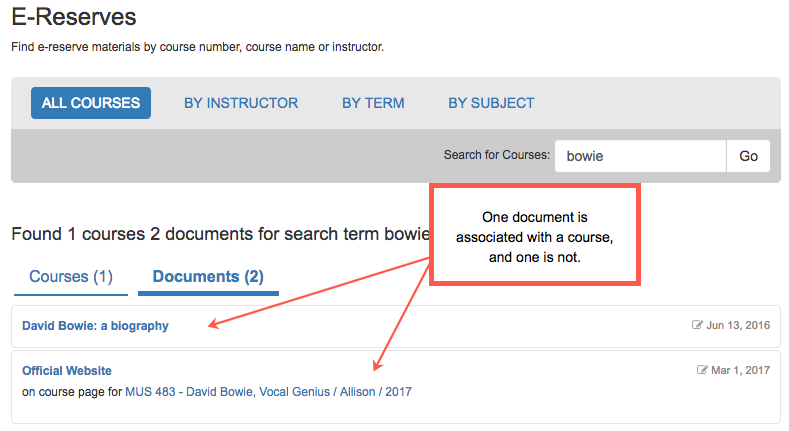 Each time the course shell is copied for a new course, your Library Resources page is automatically created and updated to reflect the new course information via the metadata. 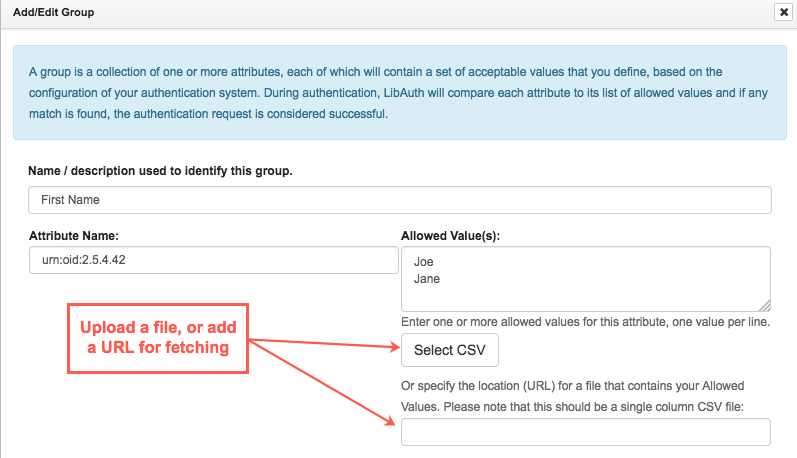 The Automagic tool has a few options, so be sure to spend time on the LTI Automagic page inside LibApps. Choose from either the Stepped Search or the Translation Table. Customize your Library Landing Page and be sure to Preview it to see how it will look in your LMS. Working with a specific courseware tool? We have some FAQs to help! Who’s Using the LTI Tool? 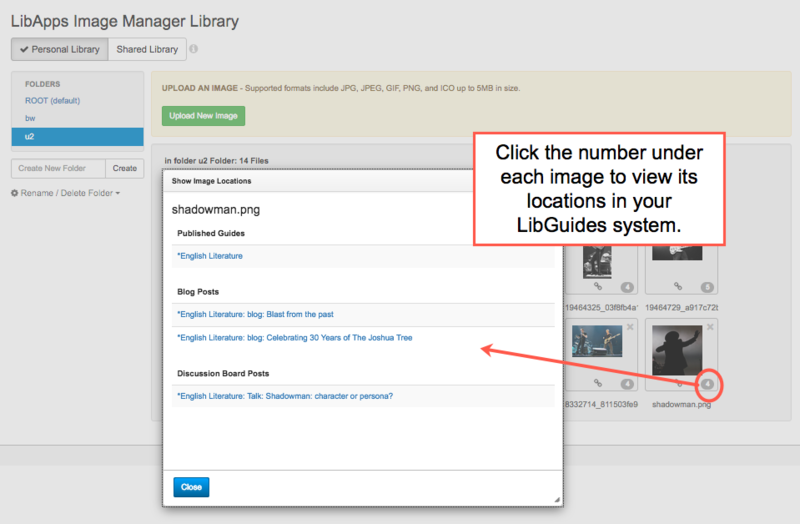 If you’re looking for examples of Libraries using the Automagic LTI Tool, we’ve got em! Learn how Penn State University embedded the Library into over 30,000 online courses each semester. They’ve even written about this project in the July 2018 issue of Library Technology Reports (Vol. 54 Iss.5). Marymount University Librarians recently presented at the July 25 SpringyCamp (Springshare’s Virtual User Conference) on how they used the LibGuides CMS LTI Tool to increase student usage, foster collaboration, and support online programs. Springshare always has your back – which is why we’ve setup a custom group of FAQs to address all your LTI (both Manual and Automatic) questions. Plus, we have recordings available of our online training sessions. So be sure to watch, and rewatch if needed, to see the LTI tool in action.